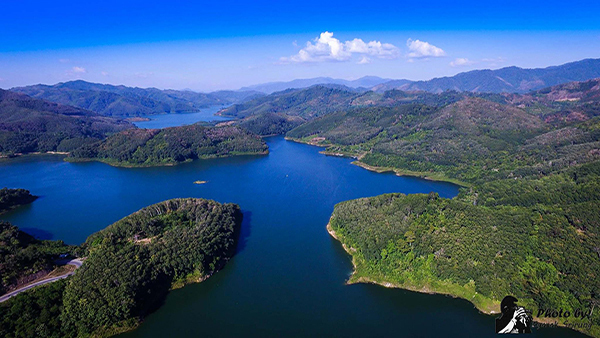 The lake amidst the mountain covers some parts of Hala-Bala Wildlife Sanctuary. 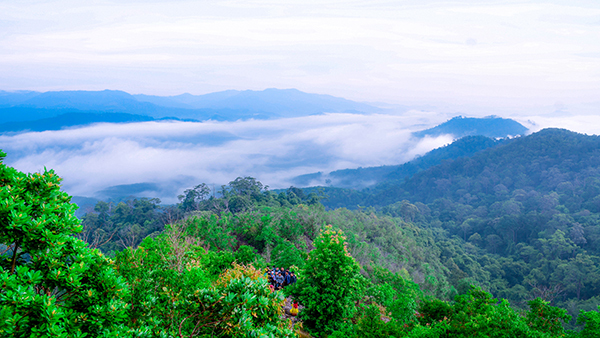 The area is mostly tropical rainforest and the habitat of many rare wild animals. 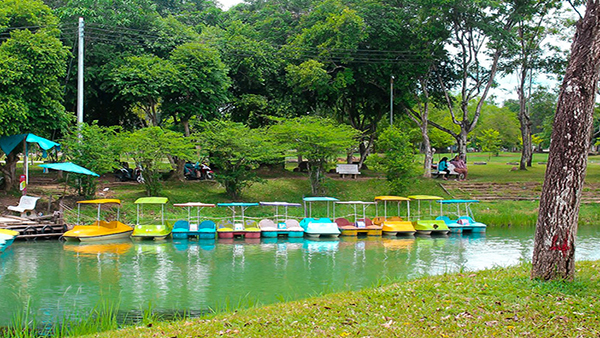 Bang Lang National Park covers the area of 163,125 Rai of BannangSata, Than To and Betong Districts of Yala Province. 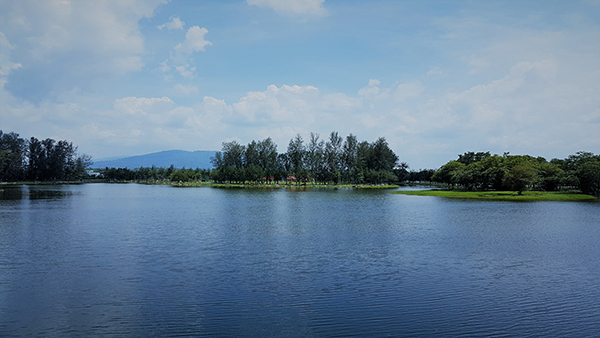 This dam is the first multi-purpose dam in the South, on Pattani River. 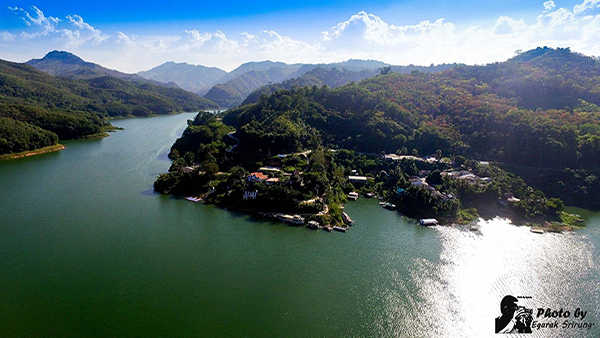 It is 85 metres high with a crest of 430 metres long, and the reservoir capacity of 1,420 million cubic metres. 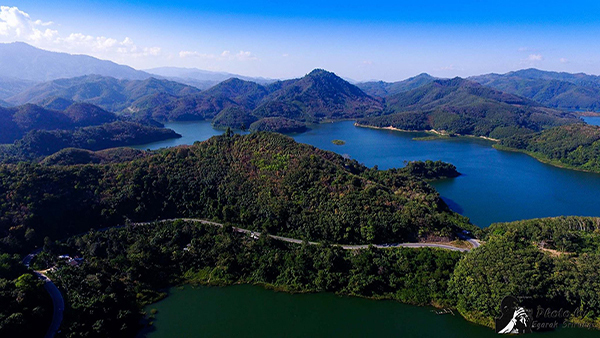 An overlook upstream of the dam arund the Electricity Generating Authority of Thailand office affords a panoramic view of the dam and the surrounding hills. 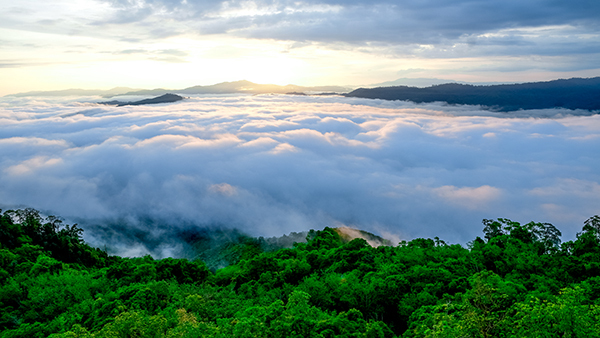 Dubbed the Amazon of ASEAN,Hala-Bala is part of the most fertile forest in the deep South of thailand. 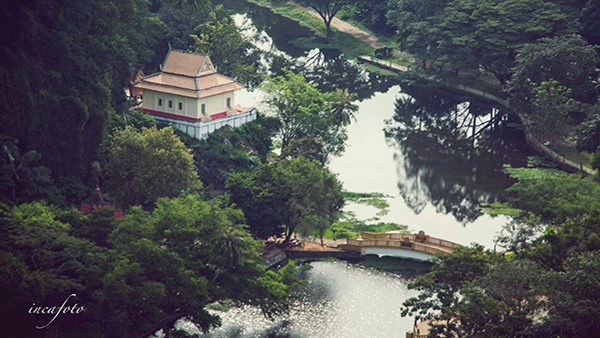 Thai Tropical rainforest covers an area of 433.6 square kilometers and has been designated a wildlfe sanctuary. 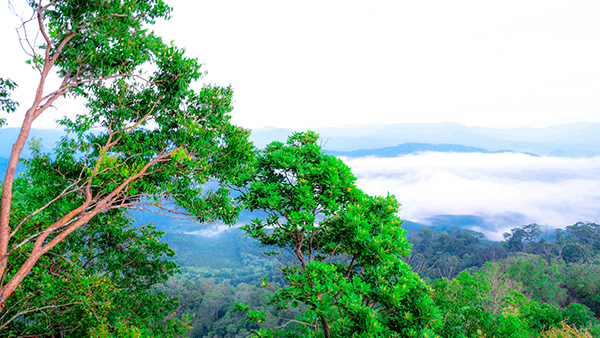 This forest occupies a large area at the boundary of Yala and Narathiwat. 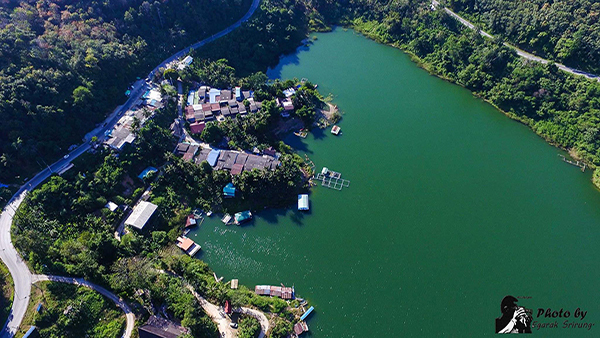 Located near the Thai-Malaysian border, Hala-bala is actually repre sentative of two different sectors. 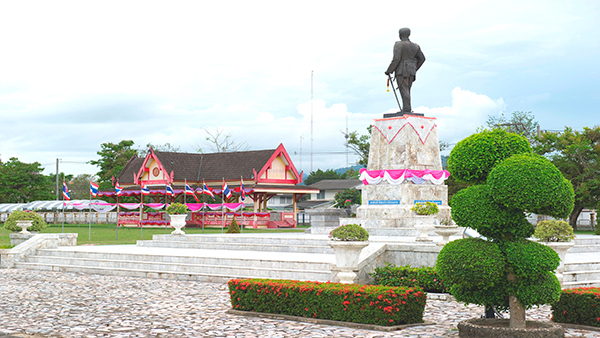 Hala,on the western side,is in Betong district,Yala province, and Chanae district,Narathiwat province. 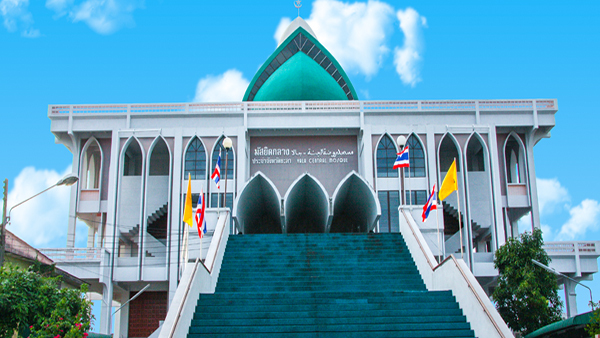 Bala-Hala, on the eastern side, is in Waeng and Sukhirin districts, Narathiwat province. 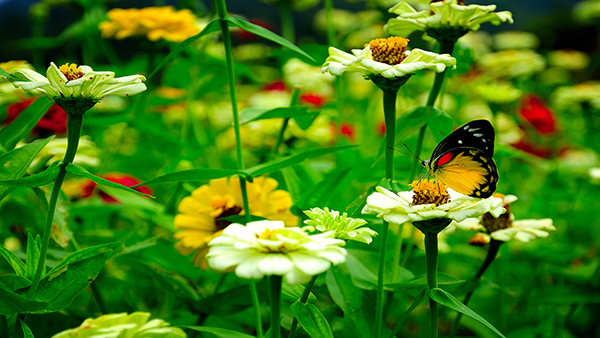 Hala-Bala Wildlife Sanctuary is rich in flora and fauna, especially numerous species of birds. 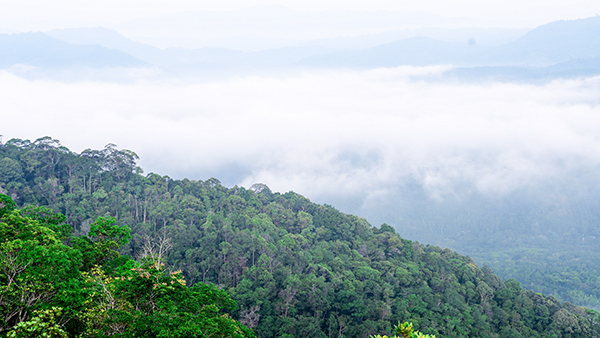 Among rare wild animal species found in this forest are hornbill, Asian two-horned rhinoceros, tapir, gaur,tiger,leopard,Sumatran serow, and elephant. 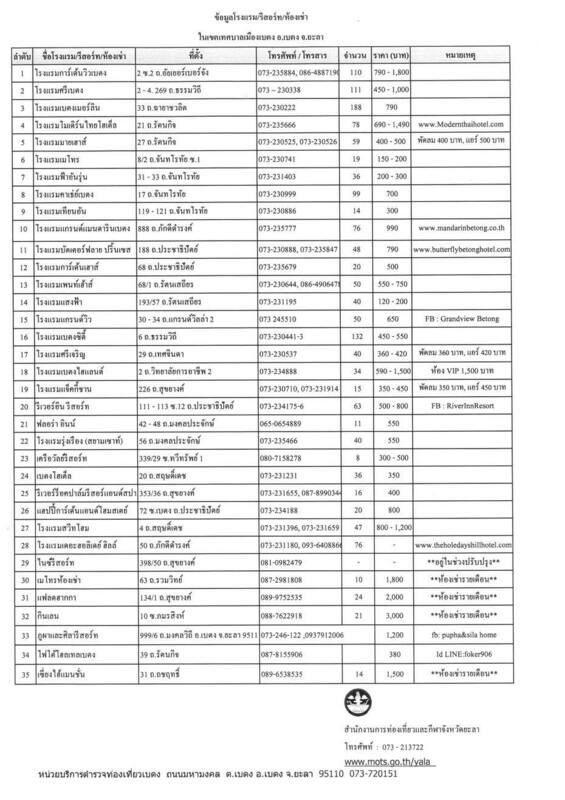 Many species are on the list of nearly-extinct animals of Thailand. 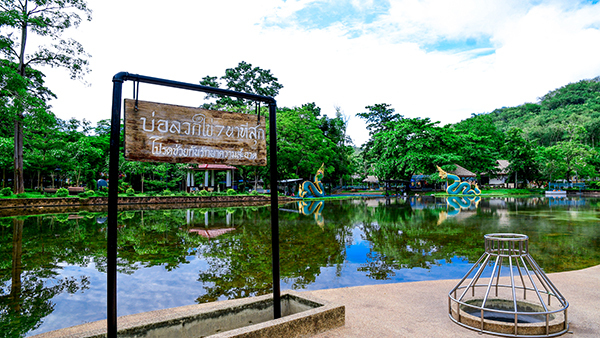 It was used as the ground to give the King rama IX a white elephant (Chang Phueak) named Phra Sawet Surakhachathan on 9th March 1968.Sanam Chang phueak Park is relaxing surrounding and white elephant historical story are waiting to be experienced. 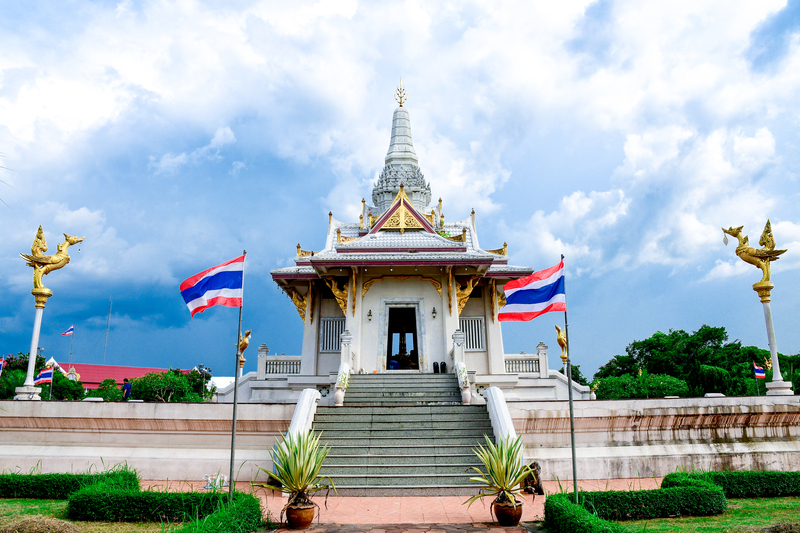 City Pillar Shrine is located at the very center of the city situated on Phiphit Phakdi road, in front of the City Hall. Each year, there is a celebration of the city pillar shrine with trading stores from government. 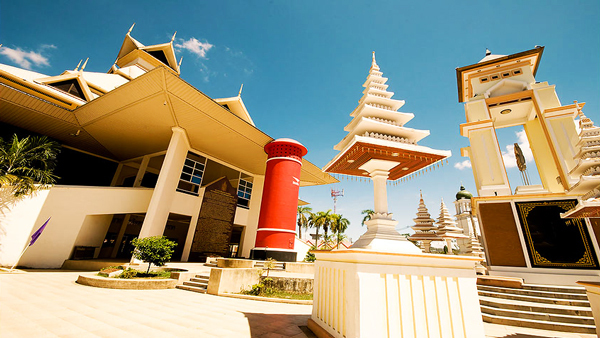 The festival is held around the city pillar shrine. 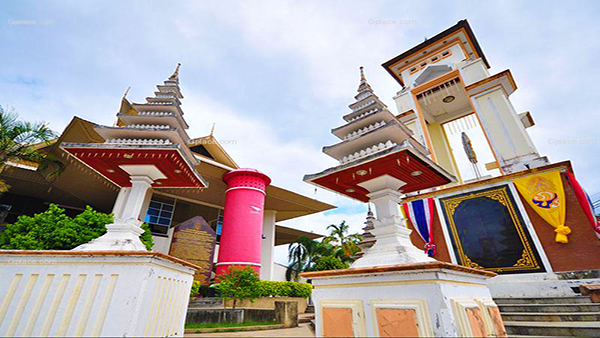 A festival to celebrate the City Pillar is held during 25-31 may each year. 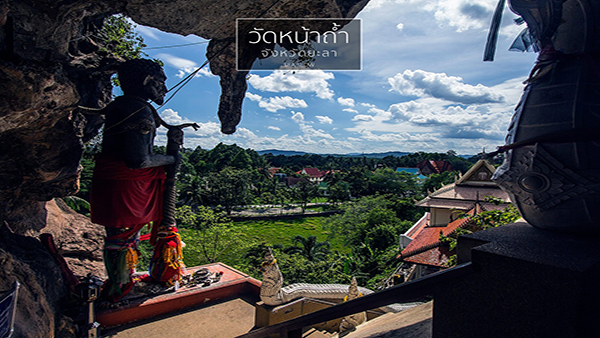 The City Pillar Shrine is a must when visiting Yala as it is a first stop of yala before going to other places. 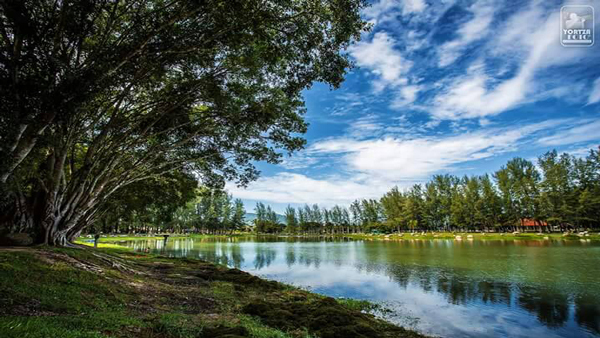 This place is perfect for relaxing. 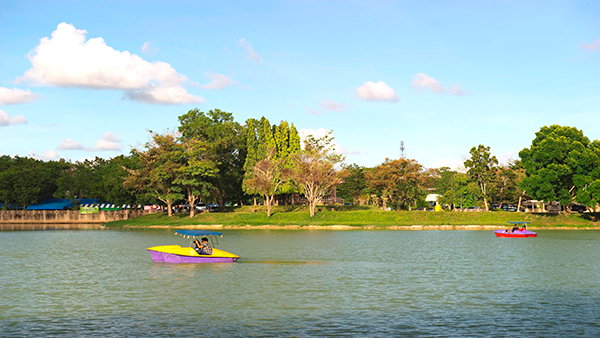 This area was developed from Pru Ba Koi,the deserted area, and has been turned into a sport park and a recreational spot. 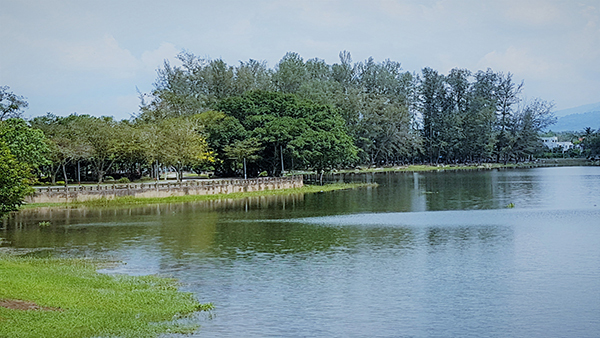 There is a separate area of 69 fields of pond designed with sandy beach and sea pines where you can enjoy the surrounding nature and a big pond. 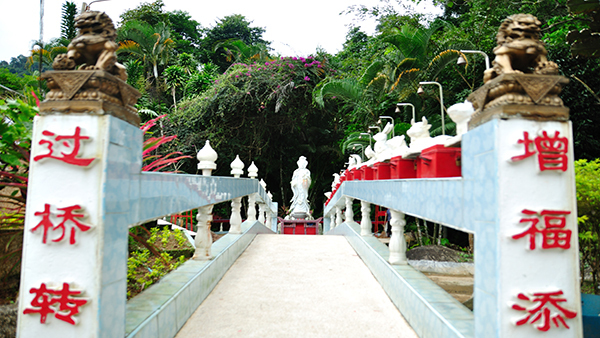 It is a must visiting places and make a wish in Yala. 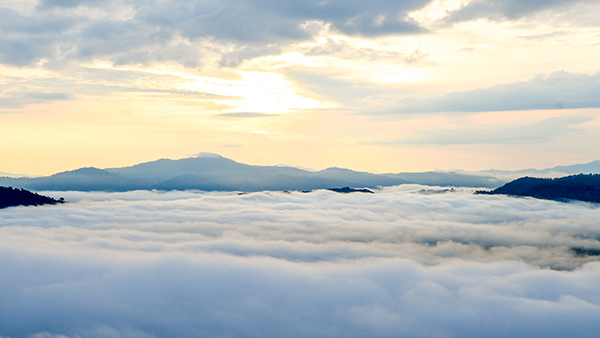 It is believe that the wish will come true. 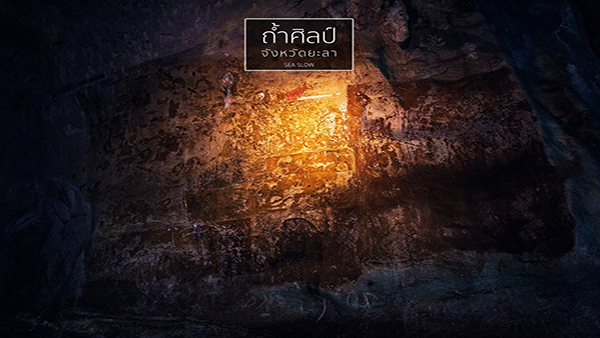 The cave is located at Thambon Natham about 2 kiliometre from Khuhapimuk Temple. 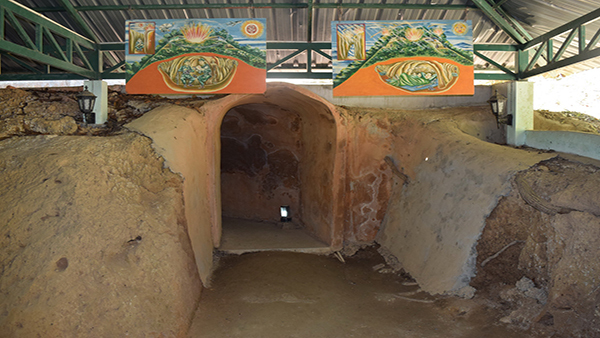 The road to the cave is well constructed.The cave is important with ancient mural of different postures of the Lord Buddha and a painting of three women standing together on the cave wall that has deteriorated with time. 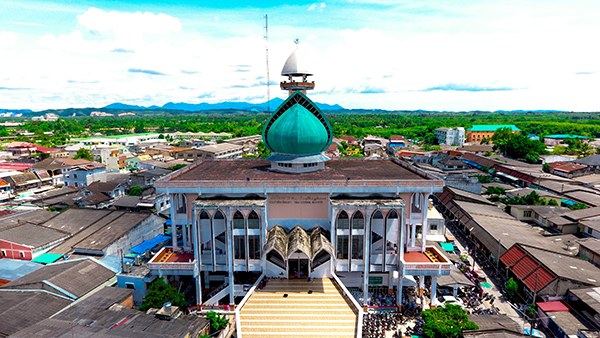 The masjid which was built in BE.2527 is a western styled architecture nicely integrated with a Muslim masjid. 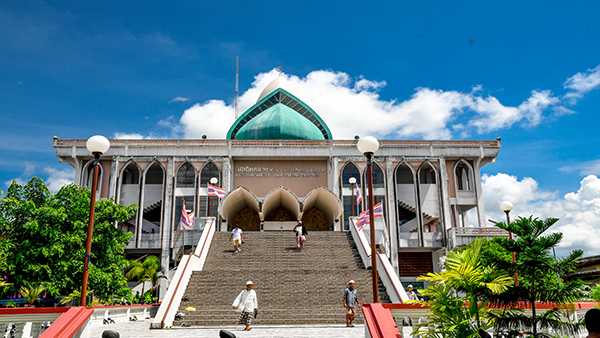 In front of the place, there is the wide stairway which is 30 stairs high. 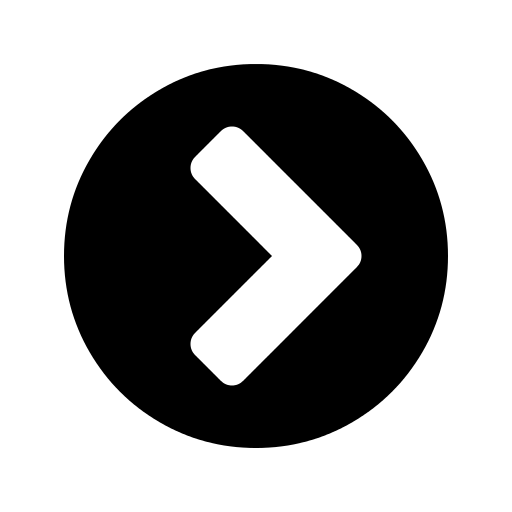 lts roof is a square shape with a big dome in the middle. 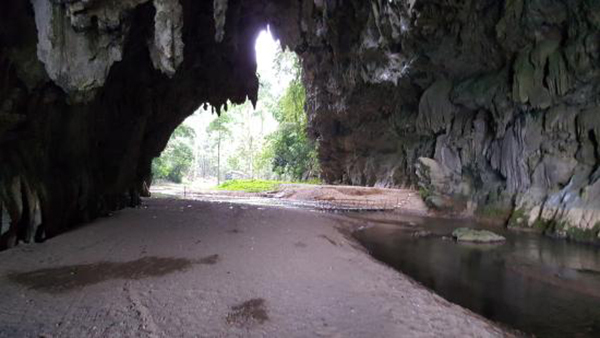 The limestone cave located at Tambon Tham thaloo. 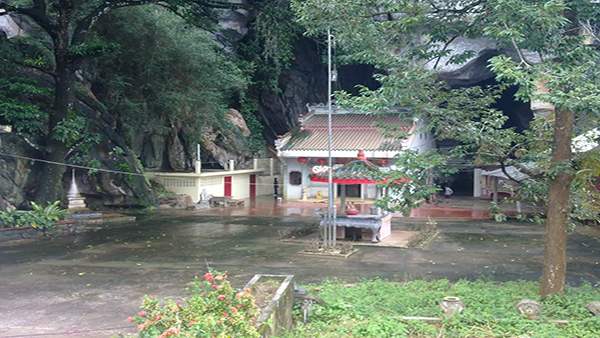 The Thaloo Cave was eroded by water to another side which has the image of the Goddess of compassion and mercy place there. 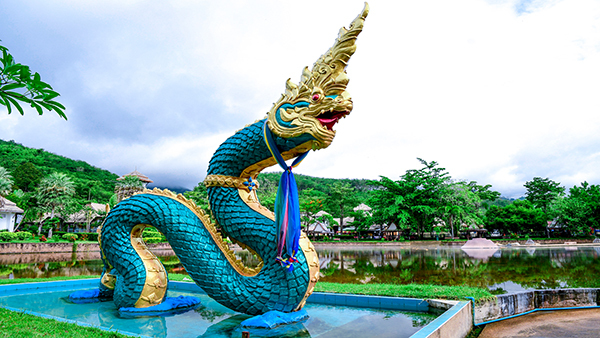 thai Chiness held Chinese Vegetarian Festival every years. 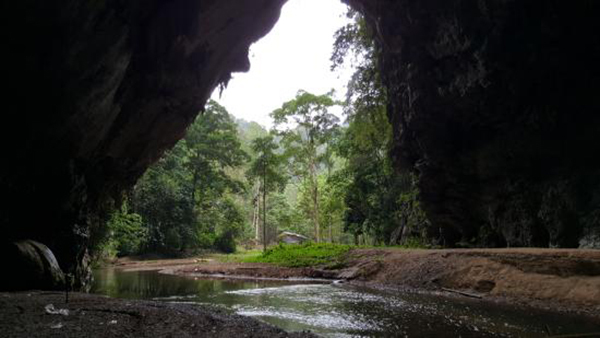 This cave is located at Ban ka sot , Tambon Bannang Sata about 50 Kilometers from Amphoe Muang Yala The scenery is that of the mountains, the stream, and the cave, tith the stream running through. 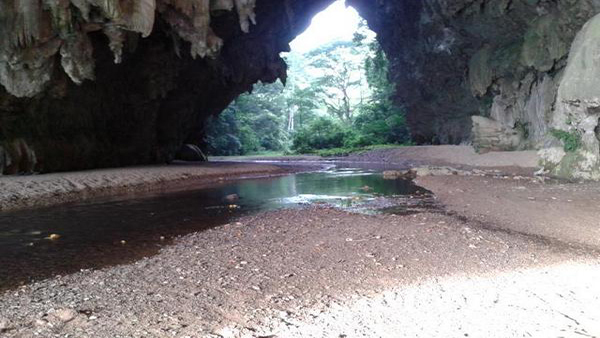 It is located in Tamtalu subdistrict. 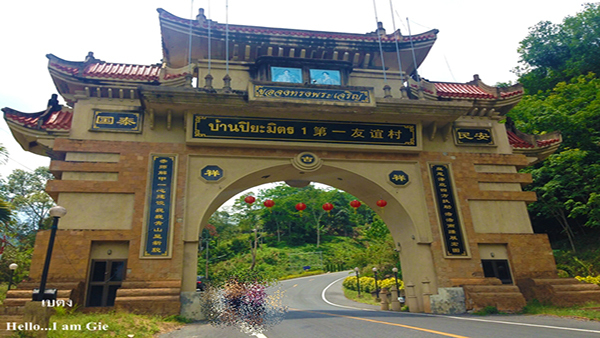 It is on highway 410 along the Yala - batong road, at kilometer pillars, 47-48. 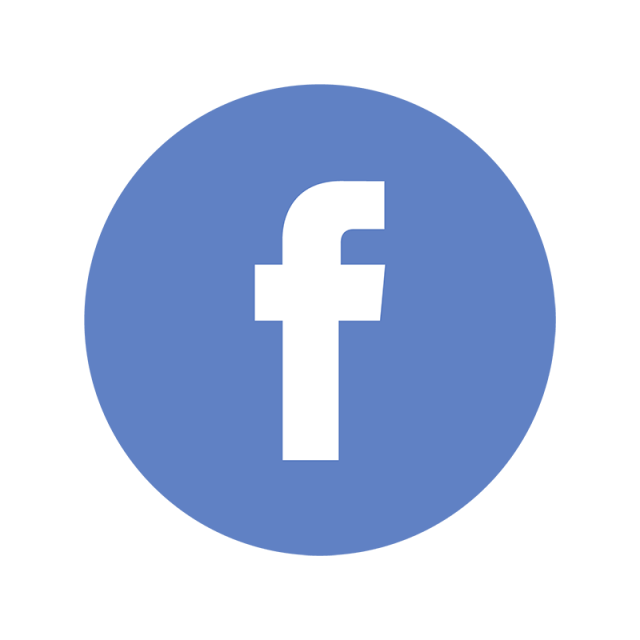 Then, turn right and kepp on for a kilometer. 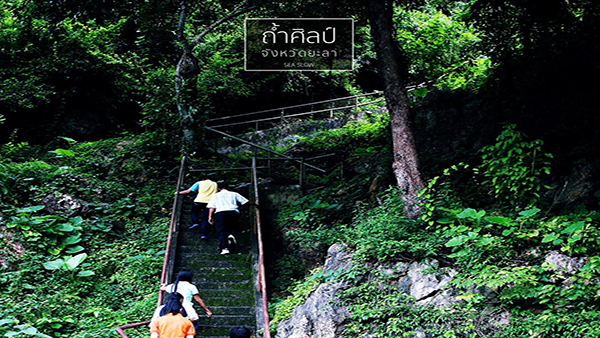 the waterfall with its seven levels is big. 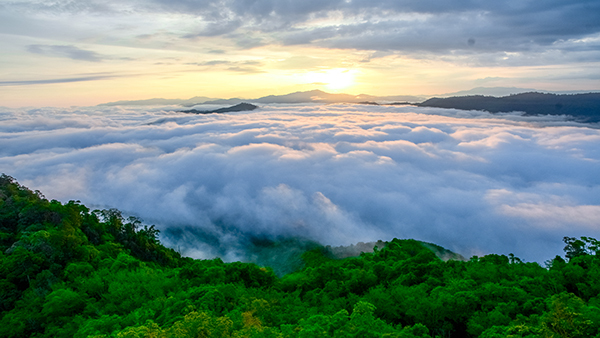 Visitors can see the owing water from a high mountain. 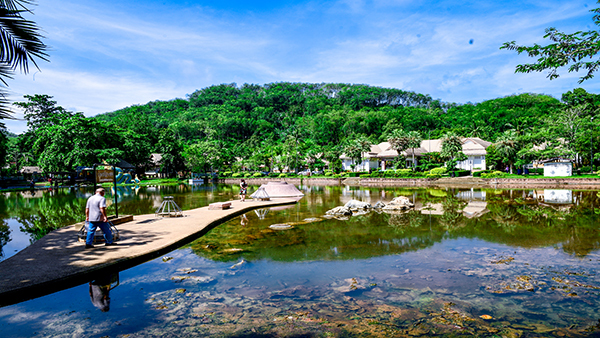 There are some ponds where people can swinm. 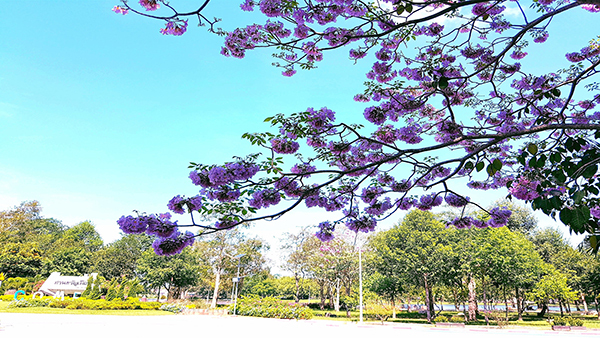 The atmosphere is shady with diverse plants and trees including sriyala or yellow Asok trees which broom their buds in February each year. 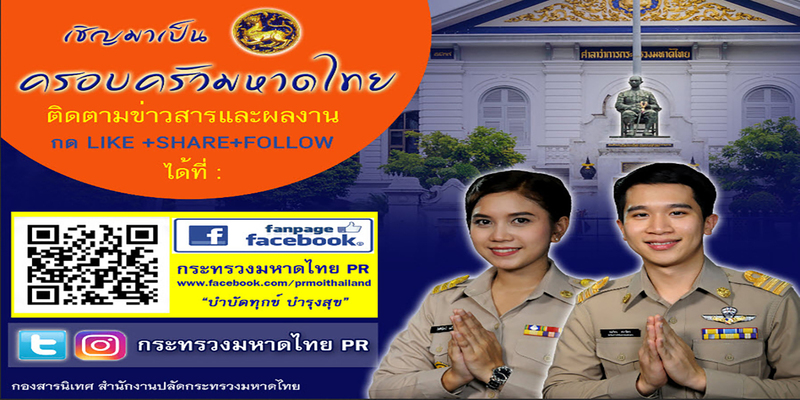 is located at Mu3, Tambon BanRae, Amphoe Thanto. 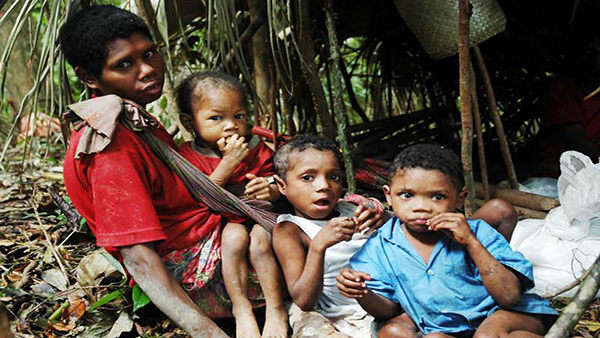 A minority tribal group, the Sakai people or Orang Ashli once subsisted on hunting and gathering. 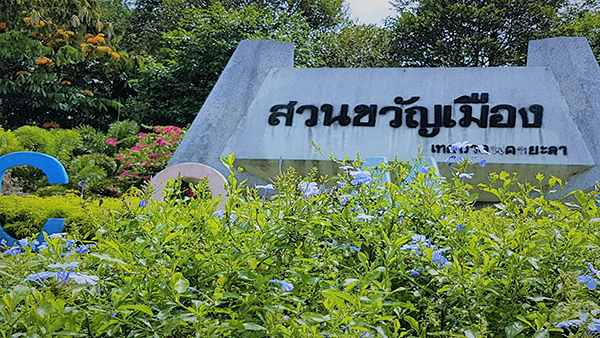 The Department of Social Work later developed the area into a village, and trained the Sakai people to plant and harvest rubber. 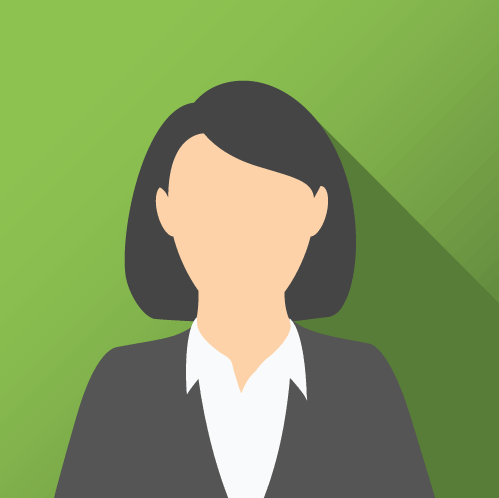 The Princess Mother bestowed upon the Sakai People the surname of si than To. 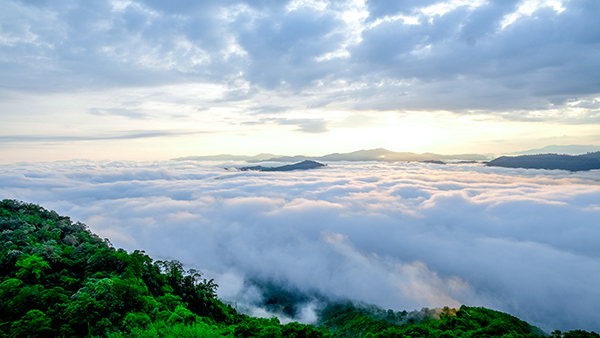 Aiyoe Weng Sea of Mist is Anamed the most beautiful sea of mist in the South. 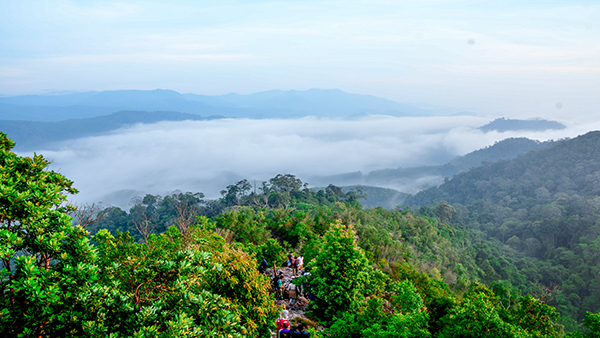 The Aiyoe Weng Mist Viewing Point is situated on the Microwave Mountain aka Gunung Silipat Mountain, where a cell site is located,in Aiyoe Weng Subdistrict. 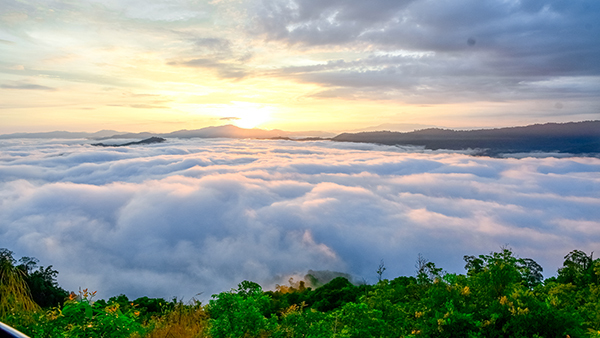 The place's wonder is vistors can come to see the sea of mist all year round as the weather here is perfectly cool, neither too warm nor too cold. 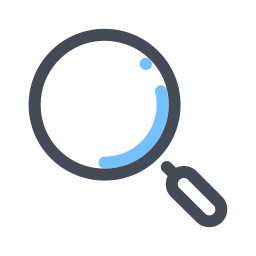 Around the area there are several viewpoints easily accessible. 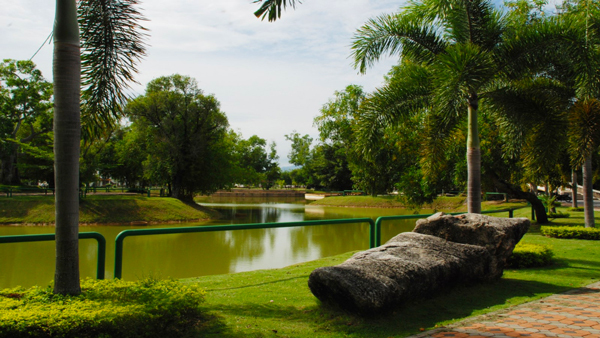 There is also an area for overnight camping equipped with facilities and prayer rooms. 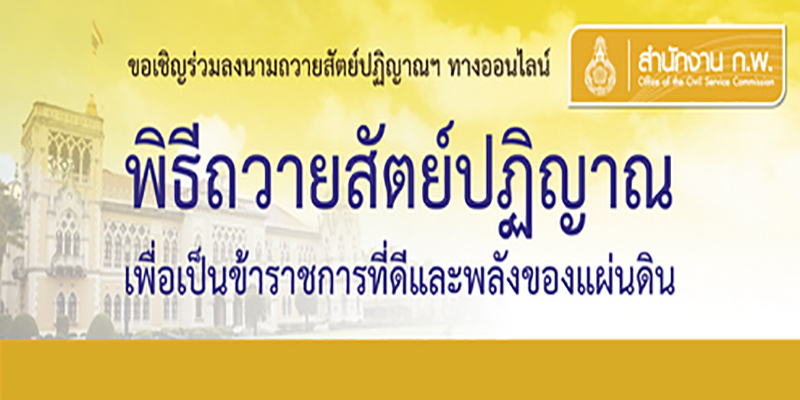 อำเภอเบตง จังหวัดยะลา มีอากาศหนาวเย็นตลอดทั้งปี ทำให้เมืองเบตงมีศักยภาพในการปลูกไม้ดอกเมืองหนาวนานาชนิด สวนดอกไม้นี้อยู่ท่ามกลางภูเขาบริเวณหมู่บ้านปิยะมิตร 2 ซึ่งเป็นหมู่บ้านของผู้เข้าร่วมพัฒนาชาติไทย ปัจจุบันชาวหมู่บ้านปิยะมิตรได้เข้าร่วมโครงการปลูกดอกไม้เมืองหนาว ซึ่งเป็นโครงการในพระราชดำริของสมเด็จพระเทพรัตนราชสุดาสยามบรมราชกุมารี เพื่อดึงดูดนักท่องเที่ยวทั้งชาวไทยและชาวมาเลเชียซึ่งนิยมเดินทางมาท่องเที่ยวเพิ่มมากขึ้น ในการนี้ทรงส่งเสริมให้บุตรหลานของราษฎรเข้าไปมีส่วนร่วมในการดูแลพันธุ์ไม้ต่าง ฯ และได้จัดสวนในกลุ่มดอกไม้ที่แตกต่างใช้ชื่อว่าสวนหมื่นบุปผา มีดอกไม้นานาพันธุ์บานสะพรั่งคอยเชื้อเชิญผู้มาเยือนได้แก่ แอสเตอร์ไฮเดรนเยีย เบญจมาศ กุหลาบ พีค๊อก เยอมีร่า ลิลลี่ แกลดิโอลัส ตุ้มหูนางฟ้า และอีกหลายสายพันธ์ เป็นที่ชื่นชอบสำหรับทุกคนเมื่อมาเยือนภายในสวนไม้ดอกเมืองหนาวมีห้องพักหลากหลายแบบในบรรยากาศที่แตกต่าง มีห้องประชุมสัมนา และร้านอาหารไว้เปิดบริการ สามารถเข้าชมได้ทุกวัน ตั้งแต่เวลา 7.30-17.30 น.
Betong, Yala, has cool weather all year round, having Benormous potential for growing winter flowers. 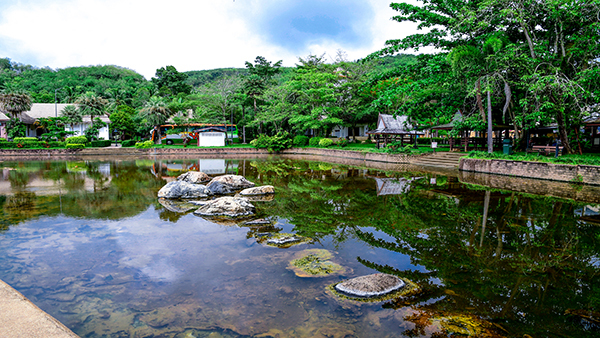 This garden is situated in the middle of mountain in Piyamit2 Village of the Thai Nation Development Cooperators.In present, the villagers have joined the flower planting project initiated bu HRJ Princess Maha Chakri Sirindhorn to attact both Thai and Malaysian tourists. 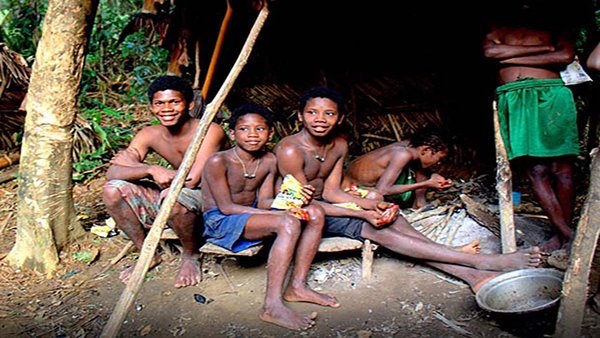 Under this project young generations are promoted to participate in taking care of the plants. 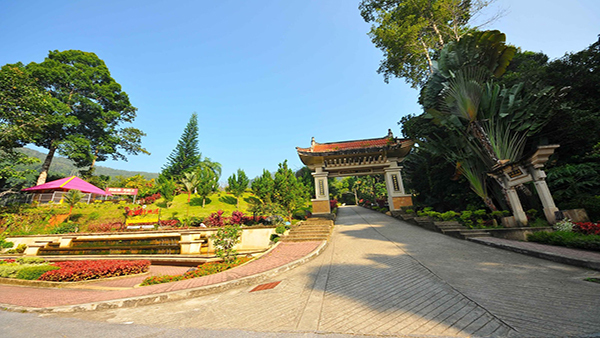 Avariety of flowers are arranged together and the garden in named Suan Muen Bupha (the garden of ten thouand flowers) featuring several attractive flowers, such as aster, hydrangea, chrysanthemum, rose, peacook, gerbera lily, gladiolus, fuchsia, and others which will certainly attract all visitors. 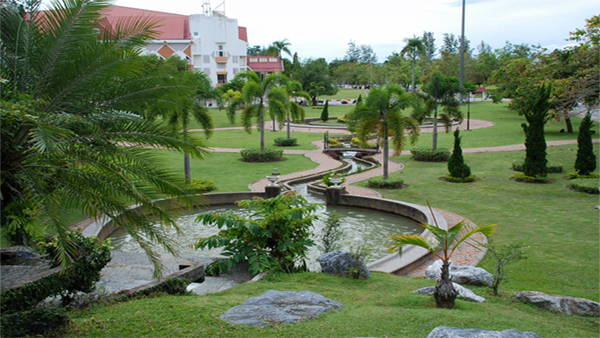 Inside the garden there are various styles of accommodation meeting rooms, and restaurants available. 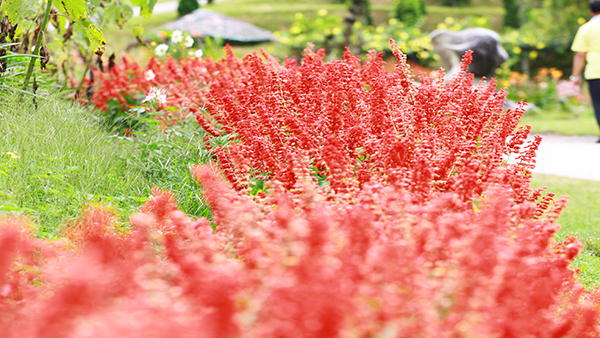 The garden opens daily from 7.30 a.m. - 5.30 p.m. 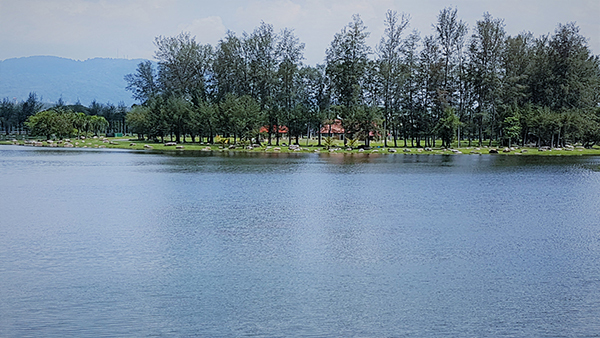 This area was once base and the hiding place of the Malaya Communist. It was used as the air-riad shelter and food storage area. 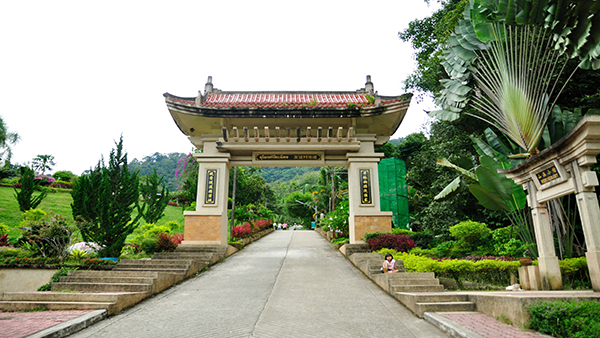 Later,the group left the tunnel, making the place become the spot where the next generations learn and reminisce the painful fights in the past. 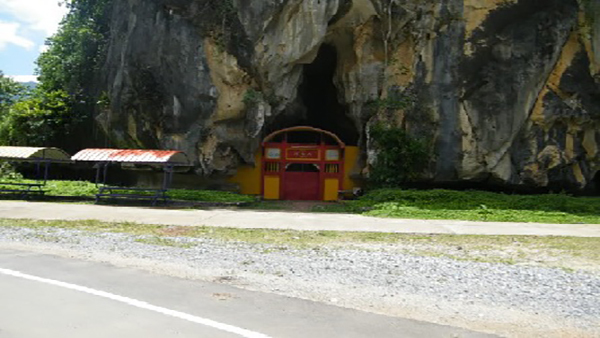 Piyamit tunnel is located at Ban Piyamit, tano Mae ro sub-district, Betong District, Yala Province. 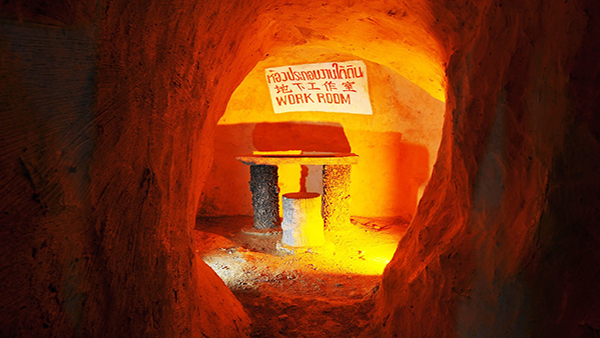 Inside the tunnel was Painted in warm orangey yellow and divided into rooms according to functions such as bedroom and food storage room. the tunnel has air flow comfortably. 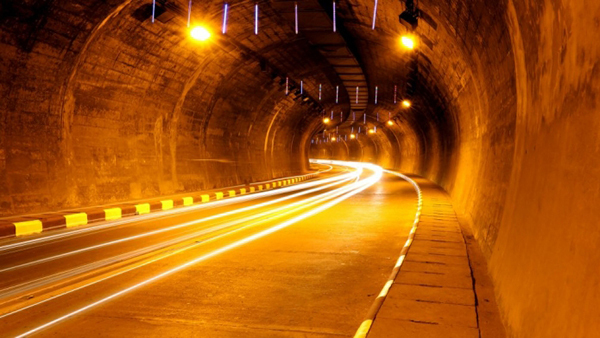 The tunnel was built in three months with 40-50 person in B.E. 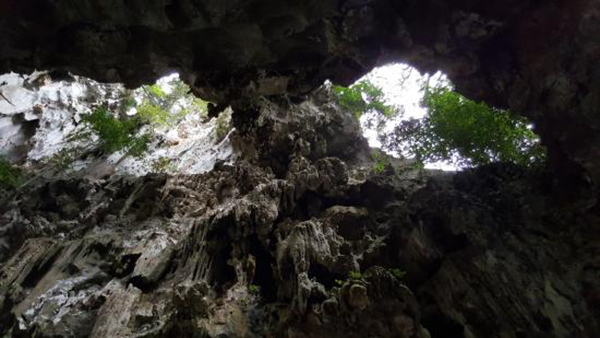 2519 and winds through the mountain for about 1 kilometre (0.62 mi)-it is about 50 feet (15 m) wide with 9 entrances and nowadays remain only 6 entrances. 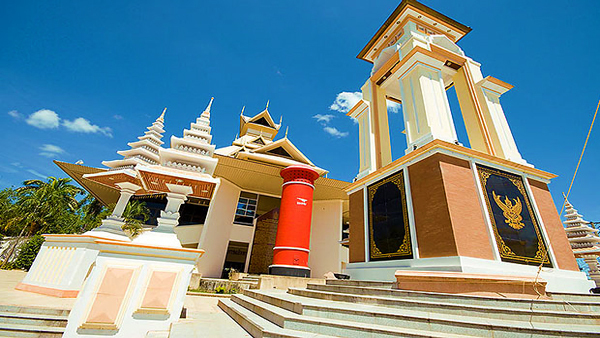 The largest mailbox in thailand is located at Betong district, in the city,around the Sukyang road corner. 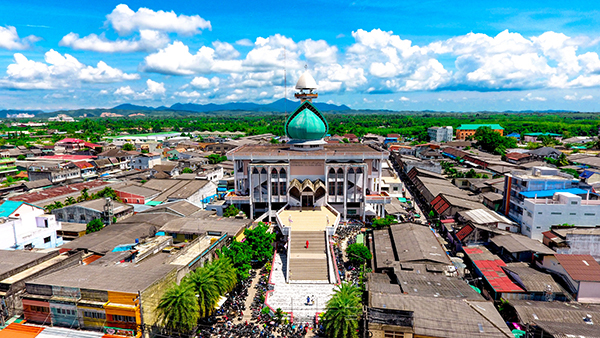 The former mailbox is on the corner of Sukyang road around the clock tower junction in the center of Betong city. It was built in 1924 A.D.,before World warll. 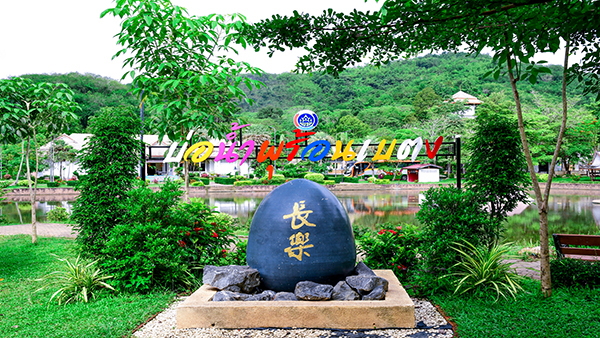 The purpose of creating this mailbox is to be the center of information in Betong. 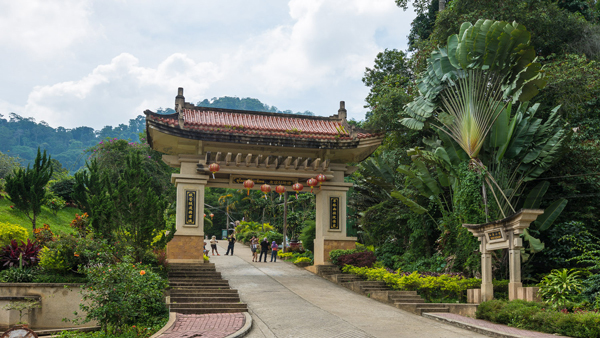 There is an intercom radio on top of the mailbox, and also used as a mailbox since.Nowadays there is a new mailbox which is bigger at the community hall, Sukyang road.It is 9 meters tall and is now highlight in Betong, for vistors to take pictures with. 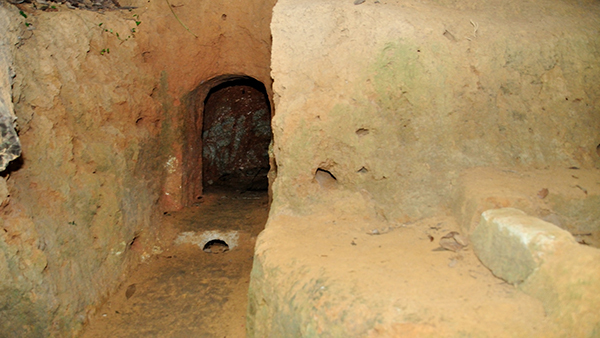 The tunnel was built in three months with 40-50 person in B.E. 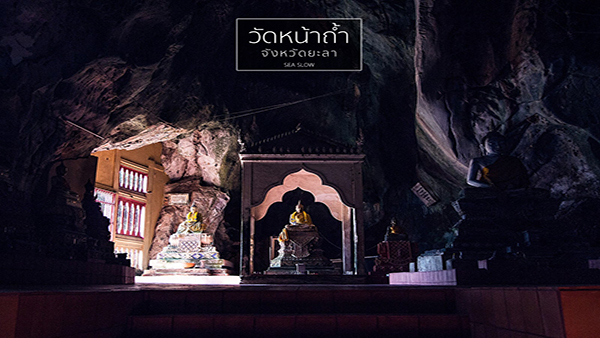 2519 and winds through the mountain for about 1 kilometre (0.62 mi)-it is about 50 feet (15 m) wide with 9 entrances and nowadays remain only 6 entrances. 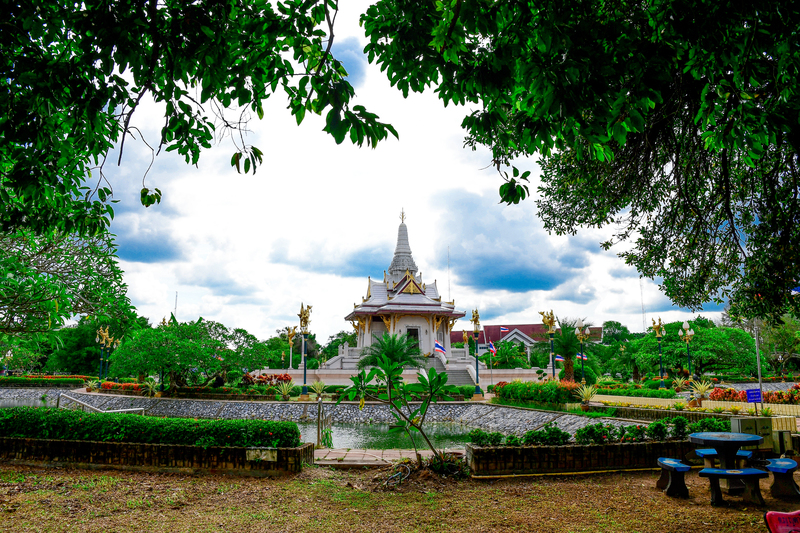 Located on hilltop in Betong city Centre, on the ground of Phutthathiwat temple, Rattanakiat Road, Betong,Yala It was built in the modern Sivijaya-style, convered in a gold color. It is 39.9 metres (131 ft) hight, built to commemorate the 69th birthday anniversary of the queen. 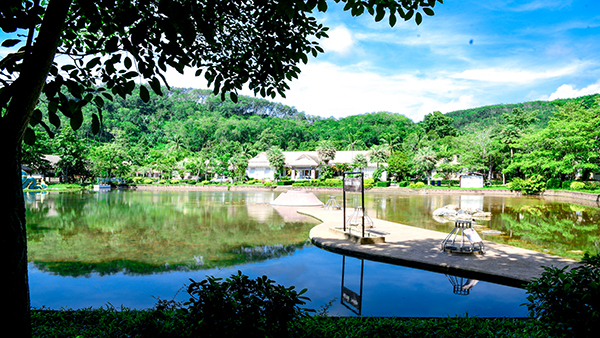 From the Chedi one can see all of the temple ground and part of Betong city Centre. 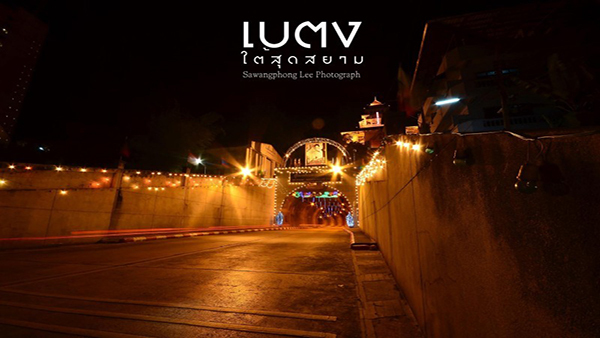 The tunnel look beautiful at night. 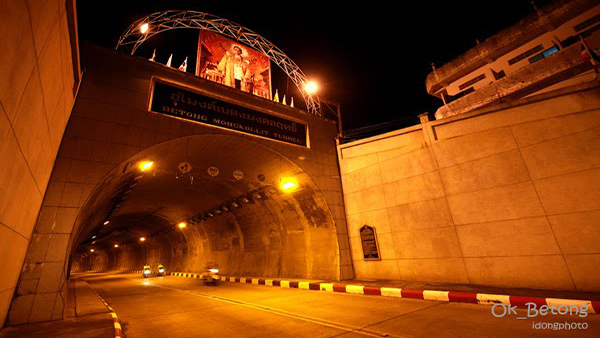 It is the first and largest road tunnel in Thailand. 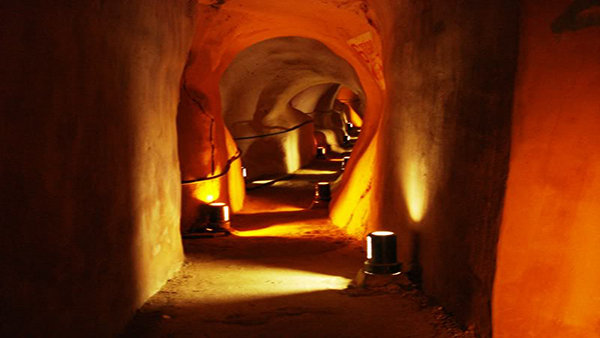 It is a curved Tunnel, 268 metres long, connecting the town centre with a newer part of the town to the South-East. 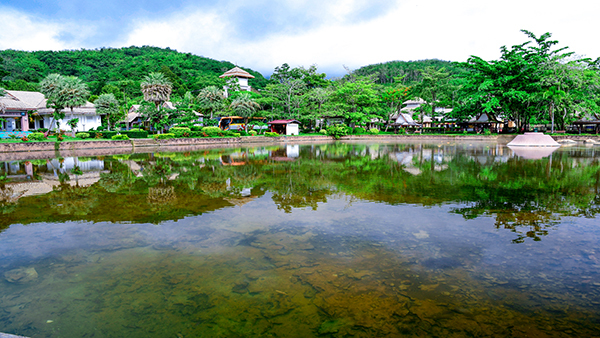 Betong Hot spring is the natural phenomenon where hot water bursting from the underground of Charo Parai Village in Tano Mae Ro Sub-district, about 5 kilometers before the Betong city centre. 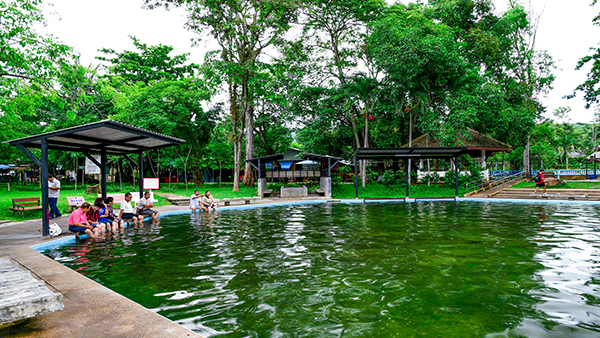 The water's temperature ia approximately 80 c. A big pool was constructed to reserve the hot water for visitors to bathe and soak their feet. 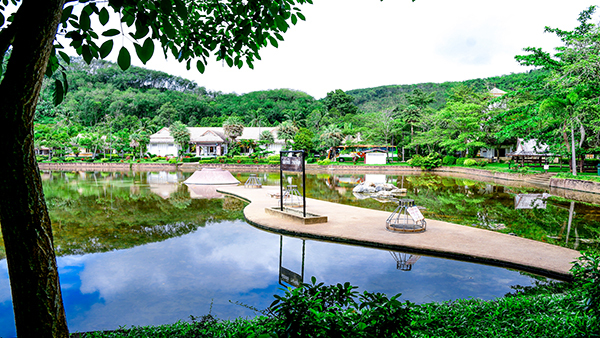 It is belived that minerals in the water can treat diseases, such as skin diseases, aches, and beriberi For visitors who want to soak in the hot spring in private atmosphere or stay overnight, Betiong hot Spring offers resort and spa services which are very popular among Thai and Malaysian vistors.